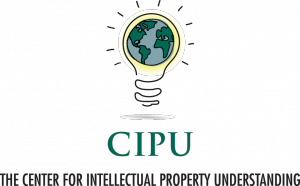 NEW YORK, NEW YORK, USA, July 17, 2018 /EINPresswire.com/ — The Center for Intellectual Property Understanding (CIPU) announced today that it is holding this year’s Intellectual Property Awareness Summit in New York on November 29 at Columbia University in the School of Journalism. Confusion about the purpose and use of inventions, authored works and designs, and their rights, has led to widespread IP theft on the part of both individuals and businesses. Uncertainty inhibits innovation and competition, increases frustration and discourages investment. IPAS 2018 will examine ways to improve audiences’ basic IP awareness and appreciation. The second annual Intellectual Property Awareness Summit – IP Literacy in a Digital World – will examine the impact of information and speed on how intellectual property is seen and often taken for granted, and ways to address it through education and the media. IPAS 2017 (Enhancing Value Through Understanding), held at Illinois Institute of Technology/ Chicago-Kent College of Law, drew participants and panelists from the U.S., Europe and Asia, and provided opportunities to network and share ideas. Discussions included best ways to address the widespread confusion over IP rights, and the growing acceptance of IP theft. Participants included Hon. Randall Rader, former Chief Judge of the Court of Appeals for the Federal Circuit (ret. ); Q. Todd Dickinson, ex-United Stated Under Secretary of Commerce, USPTO Director, Scott Frank, CEO of the IP Businesses at AT&T, Stephen Haber Director of Stamford’s IP² think tank and David Teece, UC Berkeley economist and IP advocate. IPAS 2018 attendees will include IP holders, executives, educators, creators, service providers and IP organizations. Space is limited. To request an invitation, write explore@understandingip.org. Participants can expect interaction, networking and exploring the role of such groups as government, the media, and educators in making IP rights more intelligible, and the impact of failing to. IP rights are central to more than 200 years of U.S. history. However, they have grown weaker and less certain over the past decade. Other nations are keenly aware. China, for example, has dramatically improved the reliability of its patent system and increased its investment in technology, which is threatening to dethrone the U.S. as the “go-to” nation for innovation and new ideas. A range of people and institutions that rely on IP need to know what is at stake and how to fix it. For a draft of the IPAS 2018 program and event website, visit www.ipawarenesssummit.com. Watch for updates. To register, go here.